New Year is coming. The streets are already sparkling with illumination, and Christmas trees are set in the popular recreation areas. A team of specialists has already begun the installation of the main New Year symbol. It will be a 28-meter light-dynamic Christmas tree with painted patterns, the same with in the past year. On the central square of Vladivostok, it should be set until the 5th of December and it will there until the end of January. In total there will be about 10 Christmas trees. 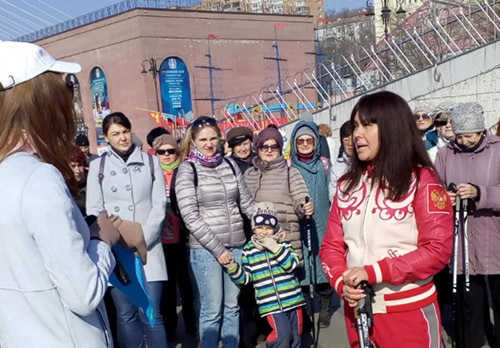 This year, for the first time in the regional capital, the celebration of the New Year will be celebrated two main sites - on the central square and the Embankment of the Sports Harbor. The holiday will be held in a new format. After installing the main symbols of the year Primorye is waiting for the first bright New Year event - a press conference with Santa Claus, who will specially come to Vladivostok from Veliky Ustyug for this purpose. A new-year town and ice slides will be installed on Embankment of the Sports Harbor. Holiday celebrations will take place here, and creative teams of the region will show their best numbers.